The FDA usually does quite a good job of ensuring that drug companies thoroughly review, test, and trial new pharmaceuticals to ensure they are both effective and safe. Unfortunately, some side effects do not surface until many years, even decades have passed. It is also not unheard of for pharmaceutical companies to intentionally downplay the negative side effects that many drugs can cause. 1. Yaz and Yasmin: There have been numerous dangerous side effects associated with these contraceptive drugs. Heart attacks and strokes have occurred at a significantly higher level than normal. Deep vein thrombosis, blood clots that form in major veins, has also been found. These dangerous blood clots typically form in the thigh or lower leg. The generic versions of these 2 drugs are named Gianvi and Ocella, respectively. • Bayer is the manufacturer for all 4 drugs and has paid $1.6 billion to date in approximately 7,700 claims. 2. Paxil: Paxil is prescribed to treat major depressions. It is also used to treat panic attacks, obsessive-compulsive disorder, social anxiety, and post traumatic stress disorder. While the drug has proven quite effective for these purposes, it has also been shown to increase the incidence of heart defects in infants when the mother uses the drug during pregnancy. The first trimester seems to be the most critical period. 3. Accutane: This popular medication was released in 1982 to treat severe acne. There have been several instances of Crohn’s disease and inflammatory bowel disease that are believed to be attributed to the use of Accutane. The manufacturer, F. Hoffman-LaRoche has been fighting most of the lawsuits, rather than settling like most pharmaceutical manufacturers tend to do. They have had mixed results. Some cases have been dismissed, but others have resulted in multi-million dollar rewards. 4. Propecia/Proscar: Both drugs contain different doses of the same generic compound, Finasteride. Propecia is used in the treatment of male pattern baldness, while proscar is used to treat prostate enlargement. Both have been implicated in causing long-term erectile dysfunction. Hundreds of lawsuits have been filed over the last few years. 5. Avandia: This drug by GlaxoSmithKline is used in the treatment of type-2 diabetes. It has also been implicated in causing heart attacks. The company pleaded guilty to withholding safety information from the FDA. To date, the company has paid out over $700 million to settle lawsuits filed by consumers. The company was also fined $3 billion by the federal government; this fine also included fines related to 2 other drugs, including Paxil. 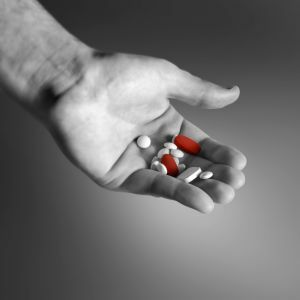 If you take or have ever taken any of these drugs, it would be worthwhile to contact a personal injury attorney. A quick review of your case can likely provide the information you need to determine if you have legal recourse for any injuries you may have suffered from the use of these drugs. Remember that this is only a list of 5 pharmaceuticals; there are many others involved in lawsuits at this time.